Probate is expensive. The costs and time associated with the Probate process have led to many individuals simply forgoing the process altogether, and, consequently, real property is not properly transferred to an individual’s heirs. However, Texas has introduced the Transfer on Death Deed (hereinafter, “T.O.D.D.”), which allows an individual to easily transfer real property to designated Beneficiaries outside of probate. On September 1, 2015, the Texas legislature passed the Texas Real Property Transfer on Death Act which essentially created a T.O.D.D. Provisions relating to a T.O.D.D. can be found in Section 114.001 of the Texas Estates Code. A T.O.D.D. 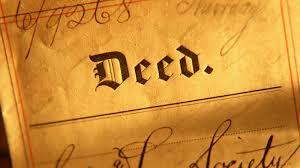 allows an owner of real property to designate via deed a Beneficiary to receive the property upon his death without needing to go through probate. Similar to a Revocable Trust, a T.O.D.D. is revocable until the death of the Transferor. Other benefits of a T.O.D.D. include: it does not affect Transferor’s homestead rights such as the right to claim homestead exemptions; does not eliminate the Transferor’s right to convey the property to someone else or encumber the property; does not affect the Transferor’s nor the designated Beneficiary’s right to governmental benefits; does not trigger a due-on-sale clause; does not create any legal or equitable interests in the Beneficiary; and the property is not subject to the designated Beneficiaries Claims or Creditors. Because a T.O.D.D. is a non-testamentary instrument that comes into effect upon the Transferor’s death, the Transferor retains all ownership rights in the property while living, regardless of when the T.O.D.D. was filed (as noted above, the T.O.D.D. does not create any legal or equitable interest in the Beneficiaries). A valid T.O.D.D. requires the following: 1) the deed must be signed by the homeowner; 2) properly recorded during the Transferor’s lifetime in the office of the county clerk where the property is located; 3) must contain the essential elements and formalities of a recordable deed , i.e., must contain a legal description of the property; 4) must be notarized; and 5) must state that the transfer of the Transferor’s interest to the Beneficiary will not occur until the Transferor dies. This can become a bit more complicated if there are Rights of Survivorship or where the real property is marital property. Once a valid T.O.D.D. is filed and recorded in the proper county and the Transferor dies, it is highly recommended that a certified copy of the Transferor’s death certificate and accompanying affidavit be filed to keep title clear and to improve access to title insurance. No notice to, delivery to, or acceptance by, the Beneficiary during the Transferor’s life is required. Moreover, the Beneficiary may disclaim all or part of the transferred interest in the same manner as state law permits for any other testamentary devise. It is important to consider the fact that the Beneficiary takes the property subject to all encumbrances, mortgages, and liens to which the property is subject at the time of death. Issues may also arise when the Transferor’s Will is probated and the Transferor’s estate is not sufficient to pay all of the debts. In this scenario, the personal representative of the estate can enforce the liability against the property as if it were part of the estate. A T.O.D.D. is similar to a Revocable Trust in that they are both revocable. A T.O.D.D. cannot be irrevocable. The National Conference of Commissioners on Uniform State Laws (NCCUSL) advises a practicing attorney to consider whether a Revocable Trust or a T.O.D.D. is necessary given the circumstances. For example, the NCCUSL recommends that a Revocable Trust be utilized where there is a class gift or other dispositions of the property that may cause complications. The NCCUSL cautions that complicated dispositions in a T.O.D.D. may result in a court proceeding to determine beneficiaries. Nonetheless, a T.O.D.D. is unlikely to involve costs that are associated with trusts, and, similar to a trust, the property will pass outside of probate. There is some concern that T.O.D.D.’s could lead to even more litigation, however, while still a relatively new concept in Texas, T.O.D.D.’s have historically not been heavily litigated in other states. T.O.D.D.’s are a simple and effective solution for avoiding probate. They are also relatively simple due to the fact that the form is provided by statute, Section 114.151 of the Texas Estates Code. A T.O.D.D. is a simple and inexpensive means for an individual to transfer real property to designated beneficiaries outside of probate. However, it is important to consult with an attorney regarding whether a T.O.D.D. will meet your estate planning needs. Every estate is unique, and T.O.D.D. may not be for everybody. My Loan Modification was Denied, Now What?